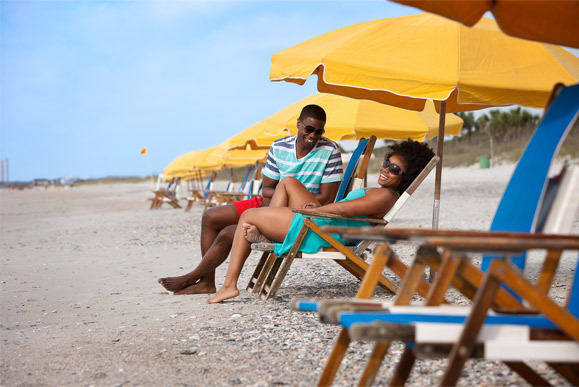 sites located among 30 acres along the Atlantic Ocean! 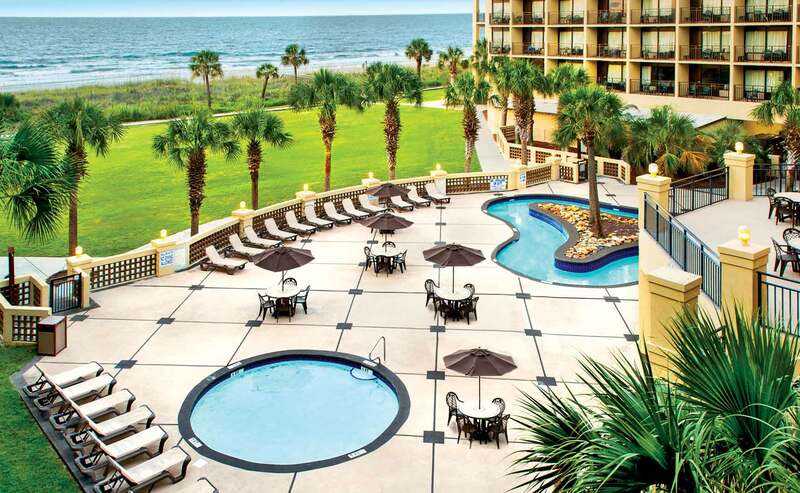 Situated on a quarter-mile stretch of serene Atlantic shoreline at the south end of Myrtle Beach’s Ocean Boulevard lays the DoubleTree Resort. 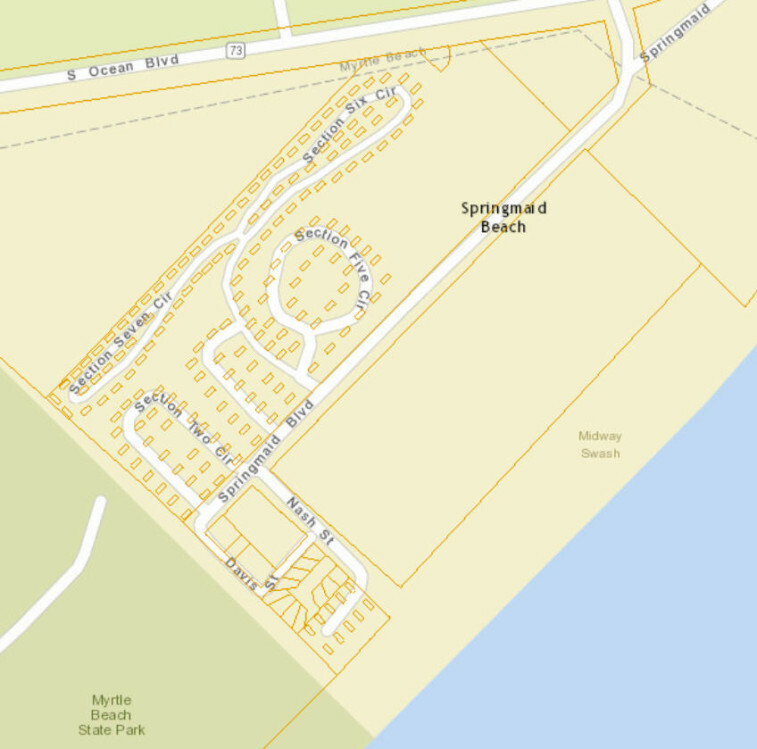 Nestled amongst this beautiful 30 acre resort is the Springmaid Beach Family Campground which features 185 annually leased sites. 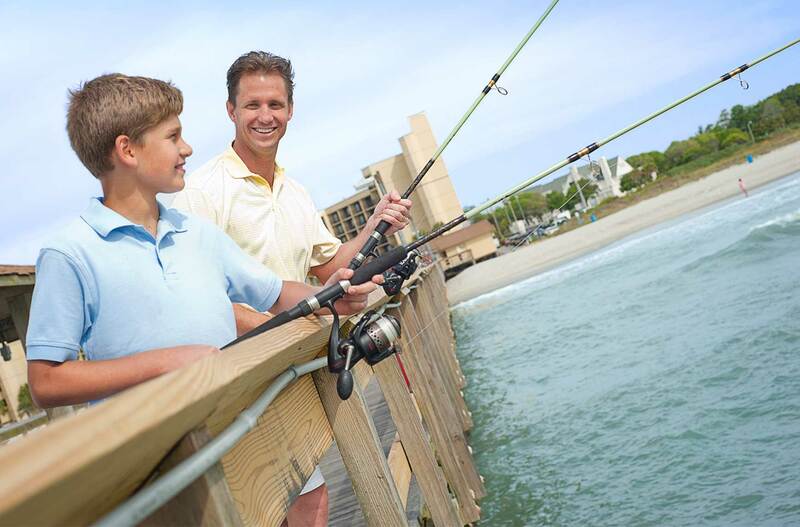 The campground offers oceanfront and second row sites. 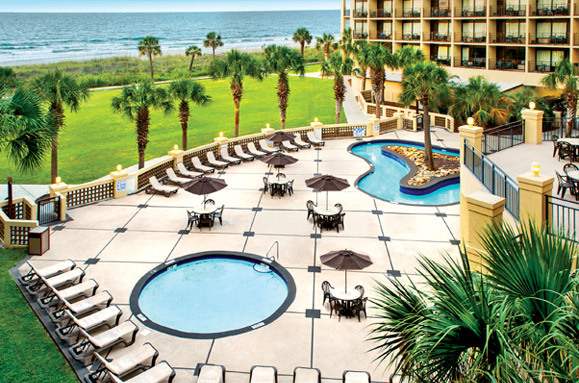 The resort’s beach is one of the areas’ best for surfing and borders the Myrtle Beach State Park. 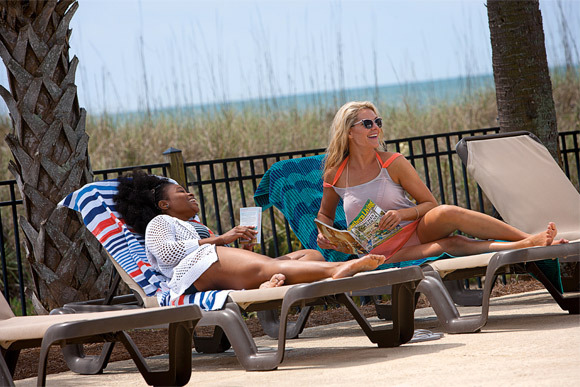 With its prime location you can find a welcome retreat from all the hustle and bustle of the area, or immerse yourself in everything Myrtle Beach has to offer. Most campsites accommodate up to a 40 foot camper. 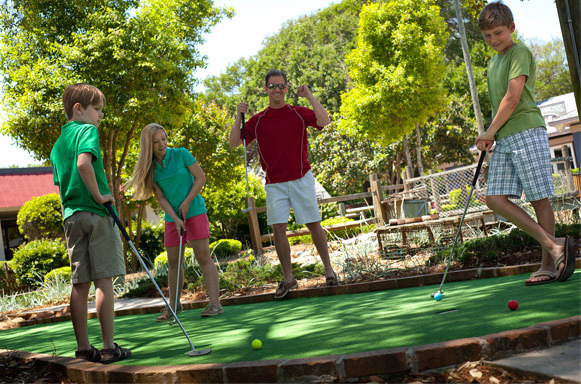 Amenities included are indoor and outdoor pools, complimentary miniature golf, and various seasonal activities. 30 and 50 amp electrical connections are available. Pet friendly resort but must be leashed at all times. Permanent residence and subletting are not permitted. Some restrictions apply, see campground administrator for more information.